“Muritai” means sea breeze in the Maori language. Sea views and light sea breezes abound at this brand new Grahams Beach holiday home. 5 minutes walk from a lovely white sand beach with safe swimming and boat ramp. 2 bedrooms, 2 bathrooms, fully equipped for 6 people. A gentle walk to the local vineyard renowned for its rose. Allow time to explore nearby bays, golf course, regional park and historic lighthouse on the unspoiled Manukau harbour. 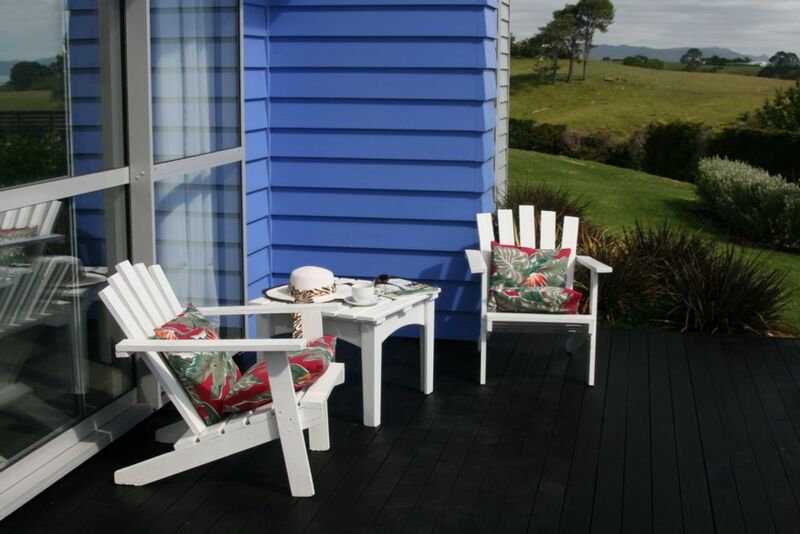 Grahams Beach on the Awhitu Peninsula is a relaxing 90 minute drive south from the Auckland CBD through rolling countryside, and we’re taking bookings now! size) rollaway beds that can be set up in spacious living room. I am delighted that you so enjoyed my property, and that you left it so spotlessly clean! Please come and stay again. Nice location, great for the beach. Had everything we needed for a break away. Lovely modern house with good sized bedrooms and bathrooms. Lovely modern house with good sized bedrooms and bathrooms. Driveway and parking a little tricky if you have a boat but no issue if just in a car. Lovely property, close to beach and vineyard. Lovely property, close to beach and vineyard. We had a lovely relaxing stay. We will be back. This is a lovely property, clean and fresh and very well equipped. This is a lovely property, clean and fresh and very well equipped. Nicely decorated and well thought out. It was a lovely peaceful place, and 5 minutes walk to the beach. We would love to stay again.